George J. was born in Atlanta, Ga. on November 18, 1949. Graduating from David T. Howard High School in 1967, George attended Georgia State University for one year but then decided to take a full-time job with Nabisco where he worked for several years. George experienced depression and battled with alcoholism while working and this led to him be incarcerated for theft and burglary, it also cost him his job. His battle with alcohol continued and his health suffered. Not having any ability to access assistance, he became homeless and lived on the street for extended periods of time. During this time, George says that he realized that he was ‘tired of missing all the good things in life.’ He says that he ‘finally made a decision for a new way of life’ and accepted God in his life. As his health was continuing to deteriorate, he suffered a stroke and was forced to visit the Grady Emergency Room frequently. Without a stable place to live, he spent many nights in and around Grady Hospital. It was at this time that he was connected to the United Way of Metro Atlanta and Homes of Light’s Hospital to Home Program. He was enrolled in supportive housing and received Case Management to help him address the concerns he was working through. 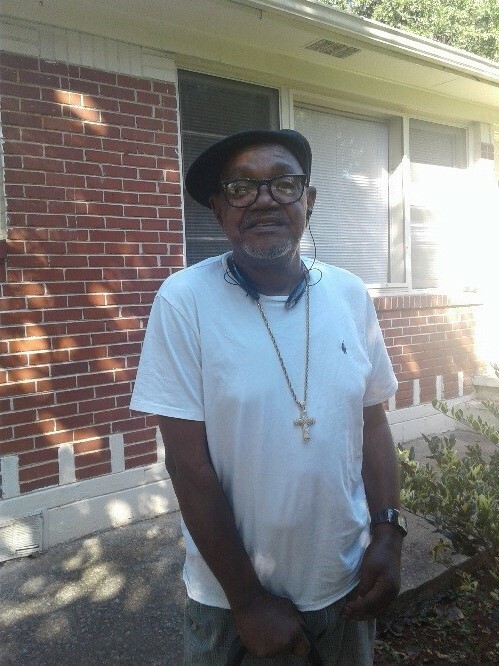 George says that he is grateful for his time at Homes of Light because it has allowed him to get his affairs in order and secure a monthly income. He now leases an apartment, goes to his hospital appointments and group meetings and is enjoying being independent and healthy.